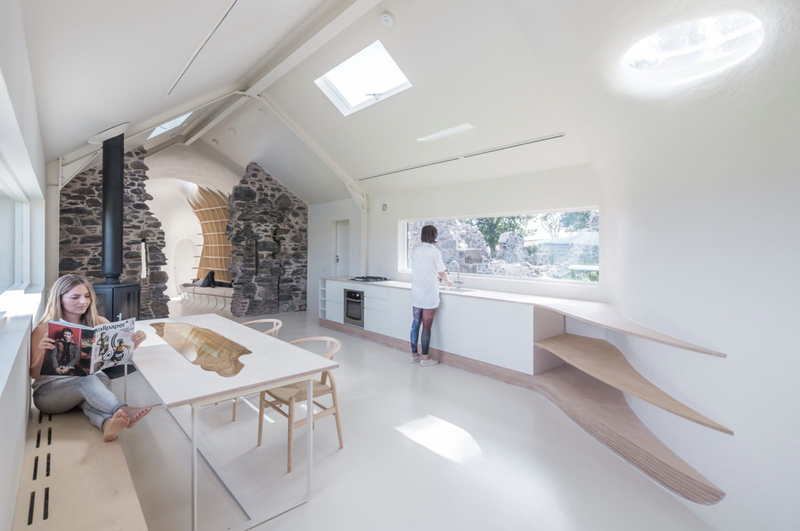 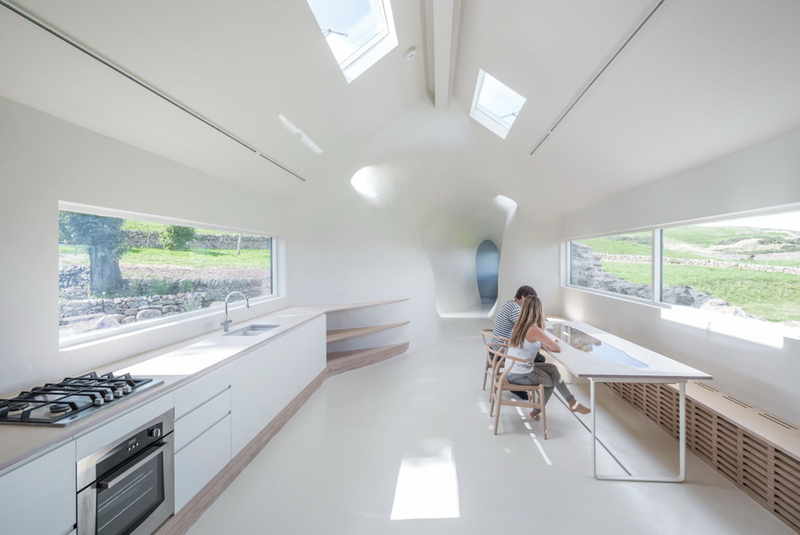 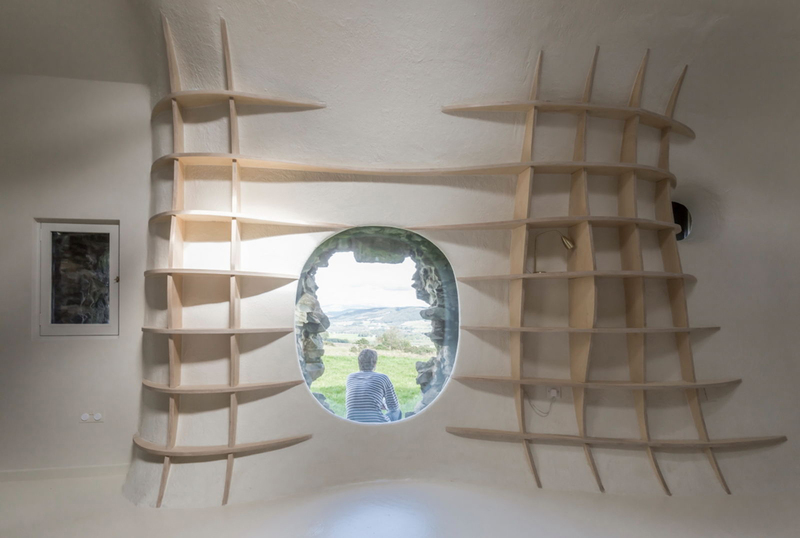 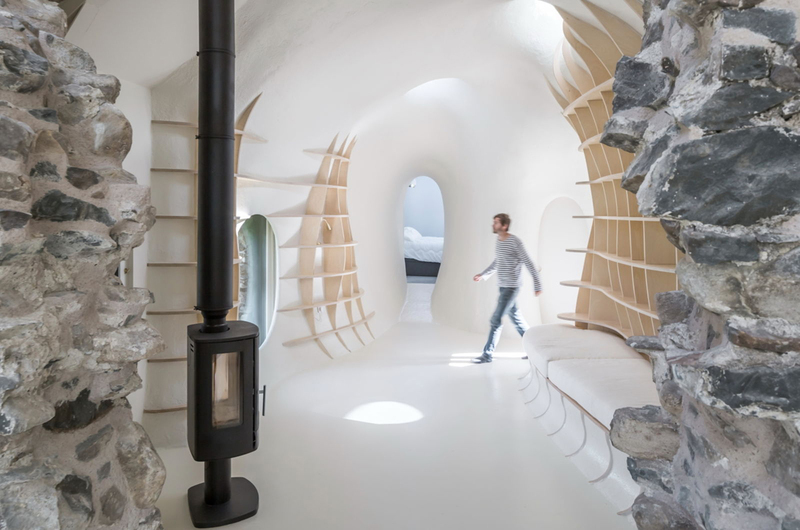 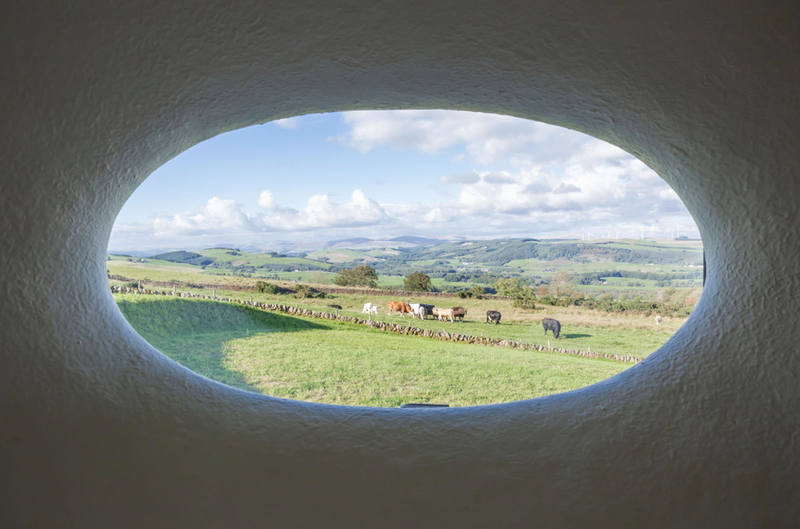 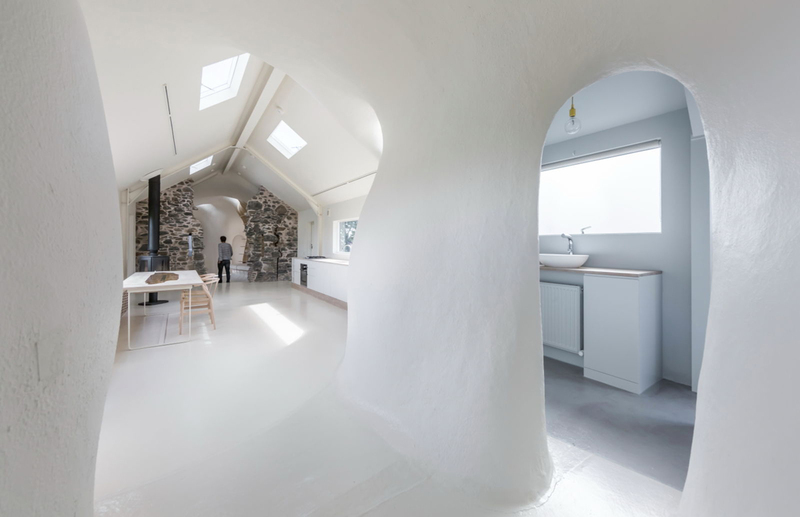 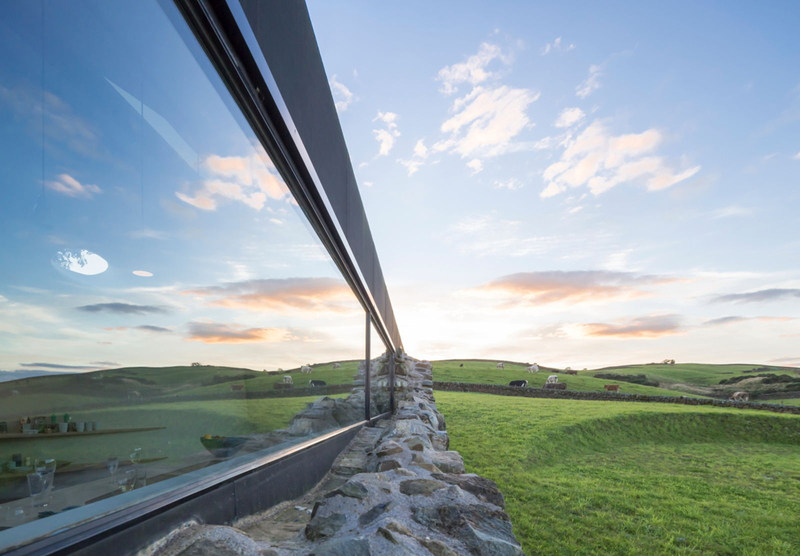 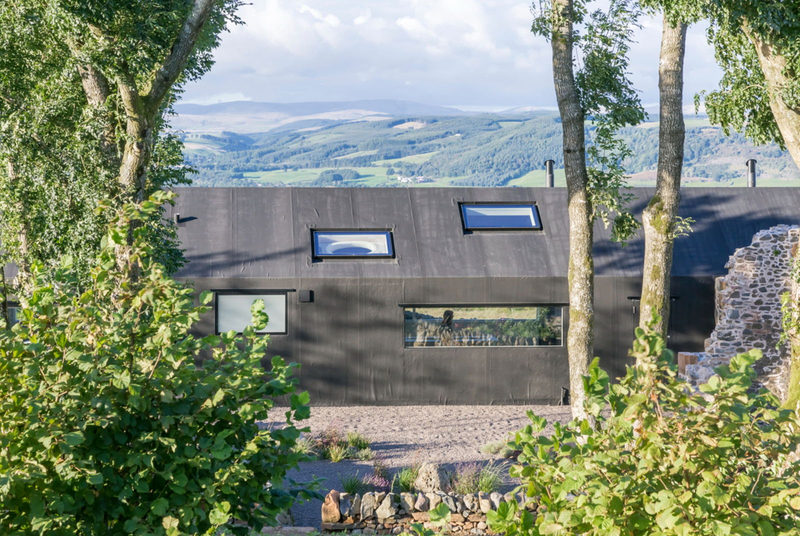 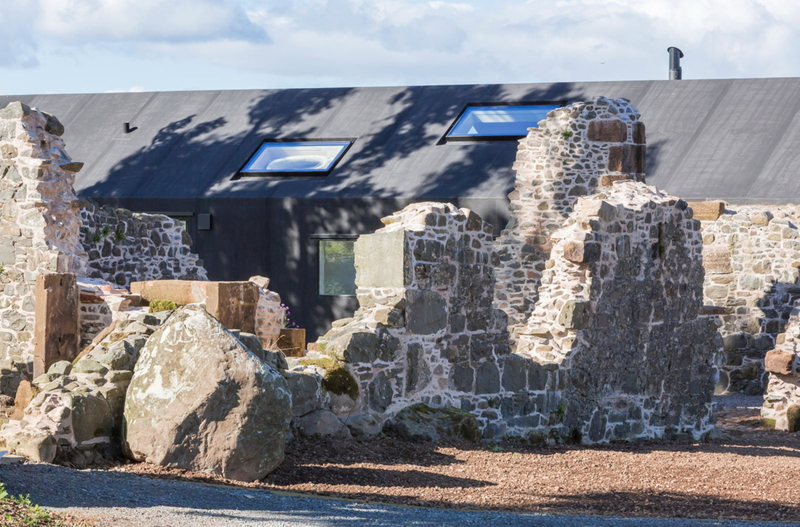 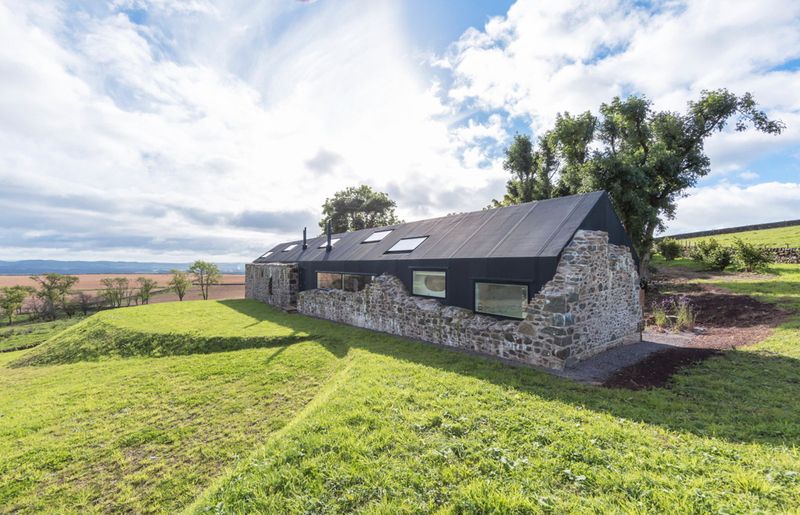 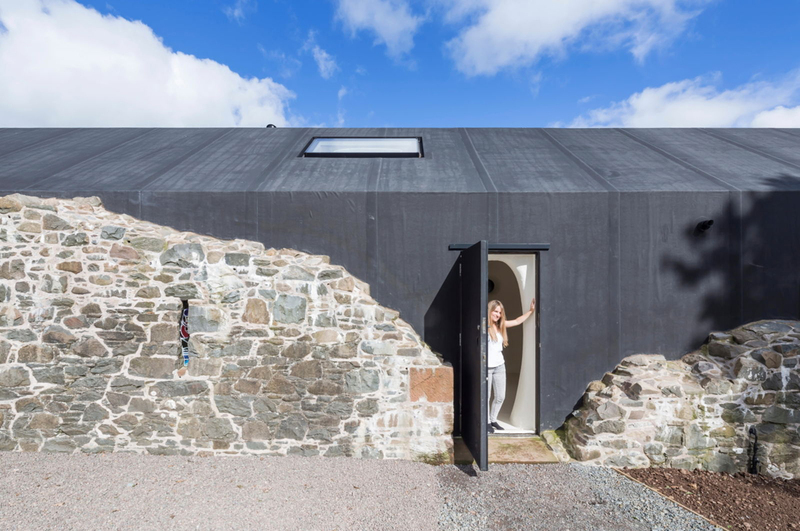 Without touching a single stone in the ruins of a 17th century farmhouse in Scotland, two architects managed to incorporate it exactly as it is into a modern, ultra-efficient, solar-powered family home. 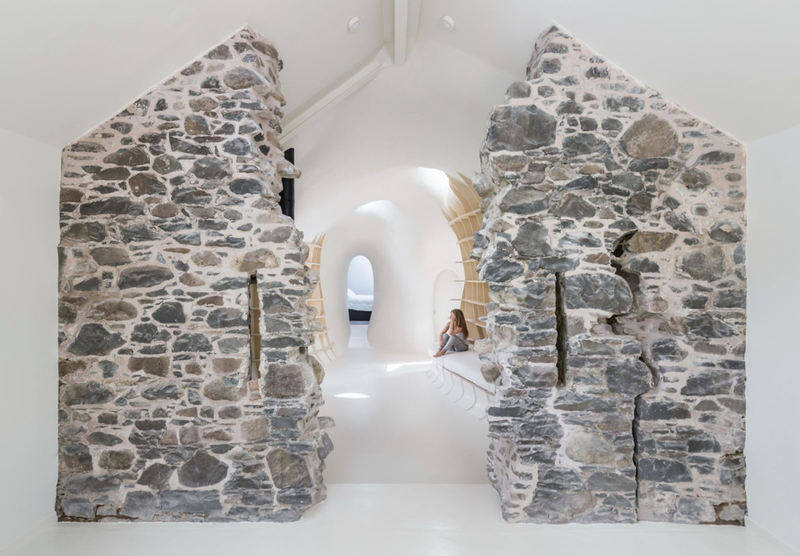 Lily Jencks Studio and Nathanael Dorent Architecture collaborated on a project that literally builds upon history, opting to adapt the ruins for a new usage in a way that highlights their history instead of trying to recreate what the farmhouse looked like once upon a time. 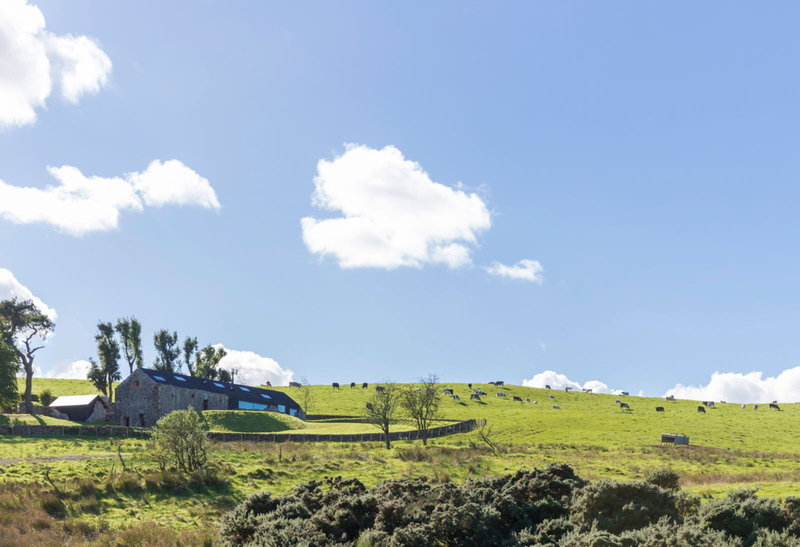 Located in the picturesque hills of rural Dumfries, looking out over a landscape of grassy emerald fields, the ruins might have seemed unusable to many who saw them. 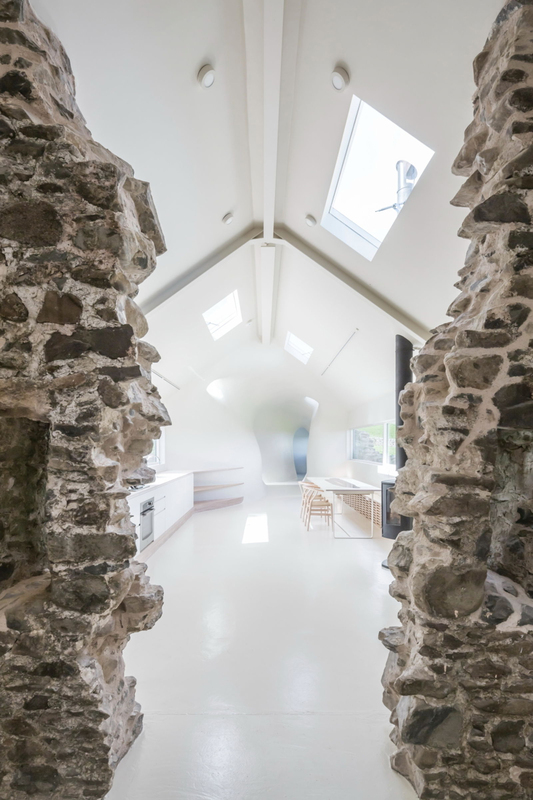 All that was left of the original structure was the suggestion of four walls, eroded down to waist-height in many areas. 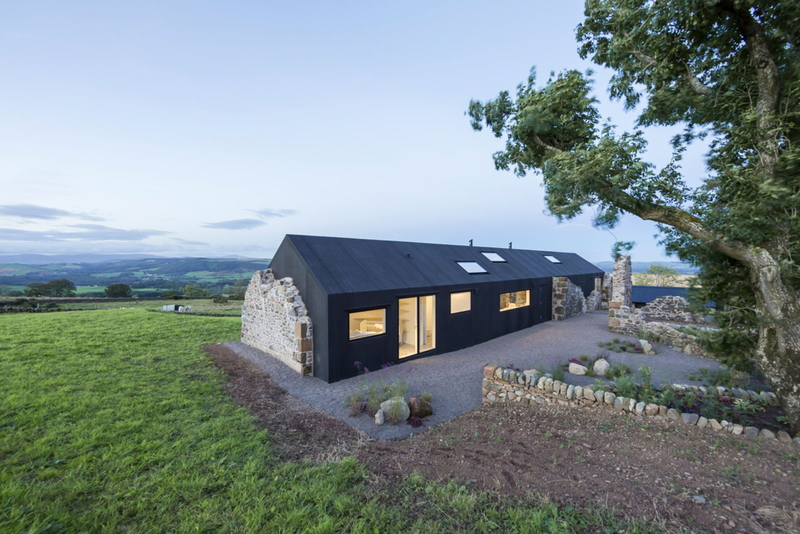 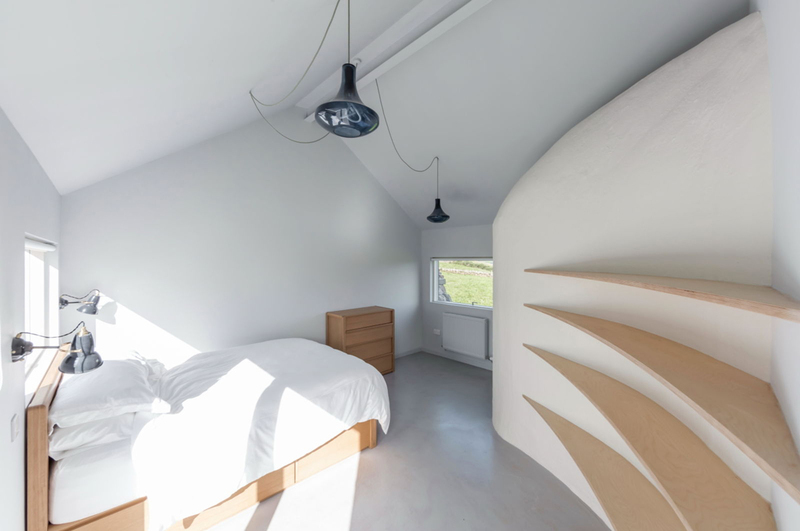 The farmhouse had been modified many times over the centuries, and for its newest incarnation, the architects chose to go bold with a surprising high-contrast design. 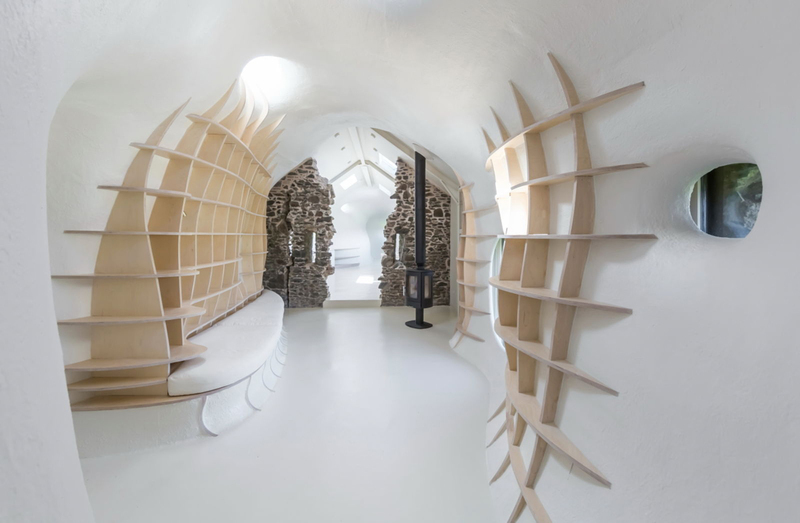 There are three layers of walls, they explain, starting with the original stone. 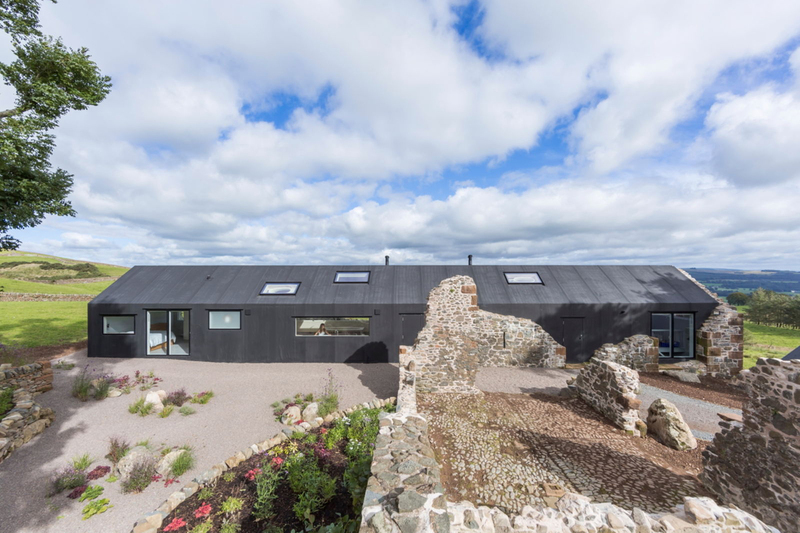 Just inside them is a layer of black waterproofing EPDM rubber forming a pitched-roof envelope for the interiors. 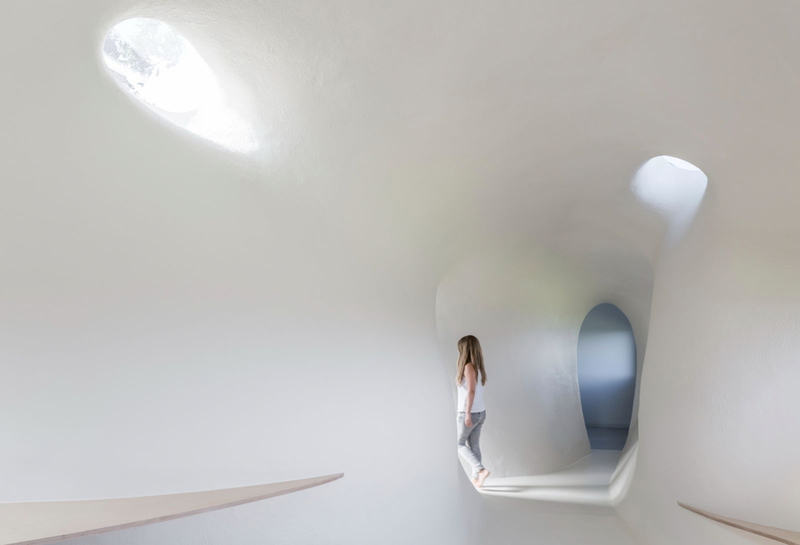 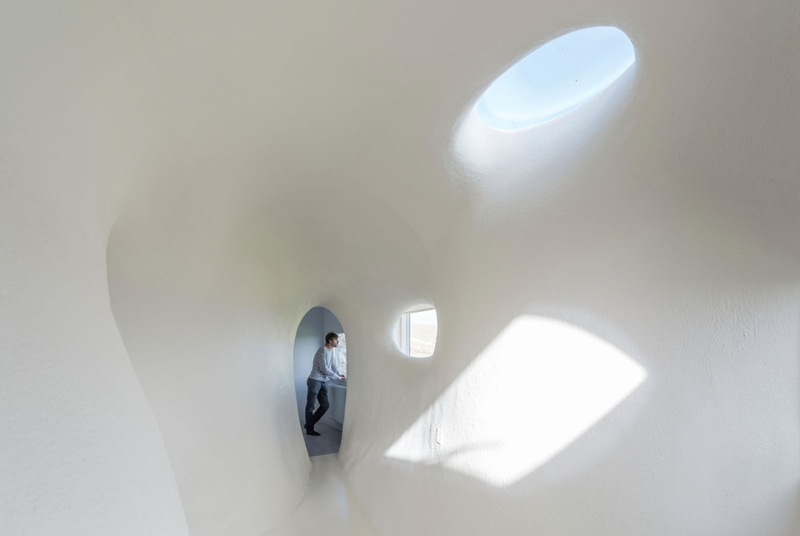 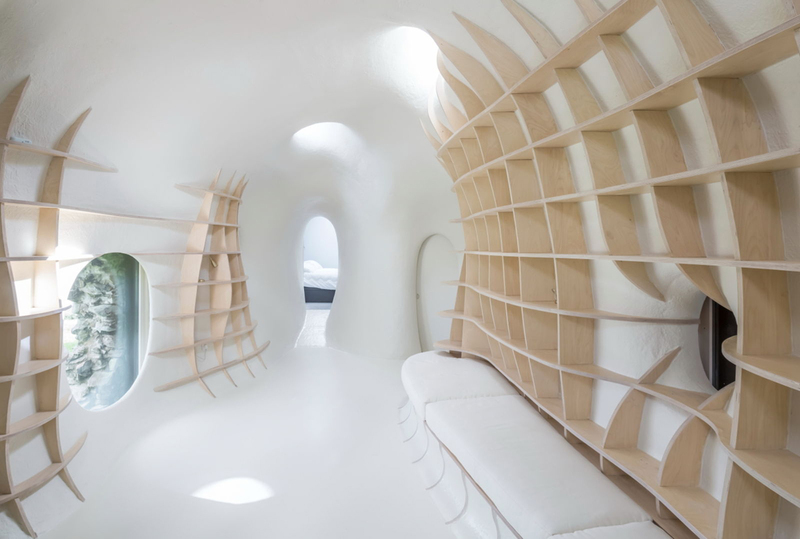 Then, there’s a curving interior ‘tube’ wall system defining the interior spaces in a way that feels soft and almost cave-like in nature.